Can HIV positive people have children? NEW GUIDELINES: INFANT FEEDING IN THE CONTEXT OF HIV IN SOUTH AFRICA. This includes guidelines on breastfeeding safely, the use of ARVs in mum and baby. It also explains how to assess whether formula feeding is a good option. Does HIV determine whether you have a C-Section or Vaginal Delivery? ARV's have changed the world of pregnant HIV+ women. If you are HIV + and pregnant, ARVs will help you to have a normal pregnancy with very low risk of infection and transmission to your baby. If you are on ARVs and your viral load is undetectable, then there is no extra safety benefit for you to have a Caesarian Section. I Repeat. If your Viral Load is UNDETECTABLE, it makes no difference whether you have a Caesarian Section or a Vaginal Delivery. Many think that the C-Section will give you added protection against transmission of HIV to your baby. But, if there is no circulating virus in your blood stream, this probably correlates with your genital secretions too. And thus, even if there is an exchange of body fluids (i.e. baby manages to get some of your fluids into his/her body), if there is no virus in that fluid, then there is nothing to infect the baby with. Get it? So, women on ARVs, can look forward to the birth plan of their choice (Obviously there are many other reasons that your gynae may want you to have a caesar, and this must be discussed in consultation). I always tell my patients: Don't let HIV determine your delivery. Health Minister is Pro-Breastfeeding - Even in HIV. 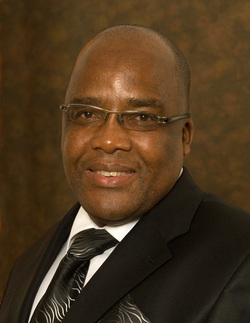 Health Minister Aaron Motsoaledi announced in August 2011 that the government would be moving to reduce the provision of free formula milk because South Africa's rate of breastfeeding is extremely low, and yet its infant mortality is rising. This remains a controversial topic, especially when it comes to breastfeeding in HIV positive women. And yet, over a year ago, the World Health Organisation stated that breastfeeding when the mum or baby is on ARV medication, is safe. Indeed, most people advocating formula milk, omit to mention any risks involved with formula milk. Nor do most clinics or healthcare providers screen patients for eligibility to formula feed using the AFASS criteria set out clearly by the WHO. In South Africa's private and public sector it is an exception for a mother to be counselled on both benefits and risks of breastfeeding and formula feeding. A coercive, one-sided approach is accepted and traditional, consisting of advice such as "mummy, if you breastfeed the baby might get HIV, but if you formula feed there is no chance for the baby to get HIV. So, which will you choose?" So, this latest move to promote breastfeeding will help to reduce the skewed proportion of formula fed babies, improve infant mortality without causing increased HIV transmission. This is indeed, positive news. For more on this click here. and here.